This, folks, was the dream scenario. The Cardinals traded for Paul Goldschmidt — one of the five best hitters in baseball — on Wednesday afternoon, and they did so without sacrificing any primary pieces of their plans for 2019 and beyond. For a franchise desperate to make the postseason after three years of angst-filled October absences, this could not have played out any better. Make no mistake, that playoff absence was what fueled this transaction. For most franchises, a three-year disappearance from baseball’s year-end tournament isn’t that big of a deal, but the Cardinals hadn’t missed the playoffs three times in a row this century, and these past three years have been filled with excruciating near-misses and what-might-have-beens. In 2018, they won 88 games — the most for any non-playoff team in the National League — but finished 2.5 games out of the second wild card. In 2017, they won 83 and finished four games behind the second wild card. In 2016, they won 86 games when 87 would have put them into a tie with the Mets and Giants, the two wild-card teams. The Cardinals were the only team in baseball to win at least 80 games each of those three seasons but not make the postseason. They were just good enough to keep hope simmering, on the off chance the Cardinals Devil Magic phenomenon crept back into the picture, but they were never really legitimate World Series contenders. On the other hand, they were never bad enough to quit on a season and restock with a series of trade-deadline deals. They were just good enough to be not good enough to matter. That’s a frustrating reality to deal with — for the front office, yes, but especially the fan base. Enter Paul Goldschmidt, the middle-of-the-order anchor who fills the Albert Pujols-sized hole in the middle of the St. Louis lineup. Since 2013, he trails only Mike Trout and Josh Donaldson among position players in WAR, both by FanGraphs’ and Baseball-Reference’s calculation. He trails only Joey Votto and Trout in on-base percentage, only Votto and Trout in wOBA and only Trout in OPS. Those statistics go on and on, but you get the point. 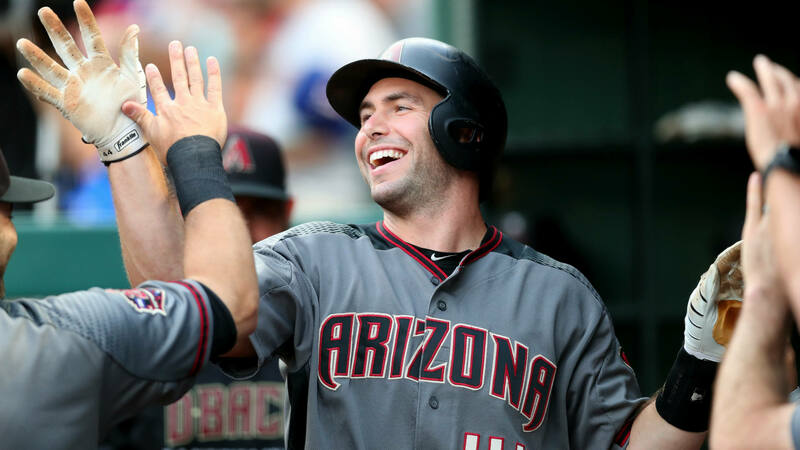 Goldschmidt, who turned 31 in September, had a slow start to his 2018 season, batting just .209 with a .719 OPS in the through the end of May, but he hit .330 with 26 homers, a .420 on-base percentage and a 1.022 OPS in his final 104 games. This is where people will point out that Goldschmidt will be a free agent after the season, so the Cardinals traded catcher Carson Kelly, right-hander Luke Weaver, minor leaguer Andy Young and a draft pick to the Diamondbacks for a guarantee of just one year of him. That’s true. There’s a risk in dealing young players for one year of a star. This is also where people will point out that the Cardinals have a nice history of turning these types of trades into long-term commitments. They traded for Mark McGwire and then convinced him to stay. Same with Matt Holliday. That’s true, too. Goldschmidt could very well fall in love with the franchise. That didn’t happen with Jason Heyward — he took less money to sign with the Cubs — but each player takes his own path, and what fueled McGwire’s or Heyward’s decision will have nothing to do with what Goldschmidt ultimately chooses. Here’s the thing that Cardinals fans should be thrilled about: Even if Goldschmidt plays only a single season with the birds on the bat across his chest, this is a great move for the Cardinals. Both of the primary pieces heading to Arizona had lost their shine within the St. Louis organization. Kelly had long been proclaimed the heir to Yadier Molina behind the plate, but Molina has remained an integral part of the parent club, even into his mid-30s, and Kelly hasn’t exactly done anything at the big-league level to push the veteran out. In 131 plate appearances spread across three seasons, Kelly has hit .154 with a .415 OPS, and other young catchers have developed in the minors to challenge for the heir apparent title. Now that he finally has the chance to compete for regular playing time in the majors, Kelly — who’s still only 24 — could become the starter people long envisioned. The fresh start will be good for him because his situation in St. Louis was muddled. Same thing for Weaver. He was the Cardinals’ first-round pick in the 2014 draft, and there were times when he looked primed to become a rotation fixture in St. Louis, like when he rattled off a six-start stretch in 2017 with a 1.49 ERA, or when he allowed just two hits and zero walks with seven strikeouts in eight innings against the Giants last July. But for whatever reason — former manager Mike Matheny didn’t exactly draw rave reviews for his handling of young players, it should be noted (screamed?) — Weaver didn’t develop that consistency. After 24 starts and a 4.67 ERA last season, he was dropped from the rotation and pitched out of the bullpen the last month and a half. With the emergence of youngsters Dakota Hudson, Austin Gomber, Daniel Poncedeleon and others behind them in the minors, Weaver lost his spot in the pecking order. Let’s stop and say this: It’s entirely possible that Weaver and Kelly form an outstanding battery for the Diamondbacks for years and Andy Young becomes a part of their infield and that draft pick, No. 78 overall, turns into gold (Freddie Freeman was the 78th pick of the 2007 draft, for example). This trade could become a key to the Diamondbacks’ next playoff push. But for now? The Cardinals traded non-essential pieces to land an essential slugger in their quest to return to October glory. And that, folks, is a dream scenario.